Whatever your Metal Stamping needs, DMI will create your product with a balance of low cost, highest quality, quick delivery times, and excellent customer service. Integrating state of the art CAD Design with our full machine shop, we are able to conceptualize and create almost any idea. 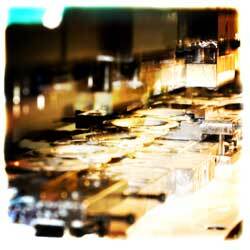 DMI can manufacture the simplest of compound dies to the most complex progressive dies. Our Tool and Die Makers will analyze every aspect of your component to develop the most efficient and economical manufacturing solution. Automation is quickly becoming an integral part of the manufacturing process. From just moving parts around to complex pneumatic and hydraulic systems, today's industry calls for efficiency. Automation from DMI is the key. DMI manufactures Custom Routers to help shape your business. Our Tool Makers can manufacture your Custom Router in almost any size and any configuration. If you have a project in mind, come in and see what DMI can do for you. 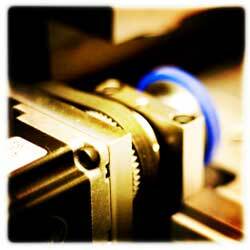 Die Masters Inc. is a Metal Stamping Company and Tool and Die company located in Gresham Oregon. Our trained and dedicated tool makers are prepared to help customers with all of their Metal Stamping, Sheet Metal Stamping, Metal Forming, and Tool and Die making ideas and projects. We are Metal Stamping Manufacturers who pride themselves on excellent tool and die work, precision machining design, and custom metal die stamping. With the advances in technology, tool & die makers can work with more accuracy and precision. It is this skilled tool and die work whether for metal tooling, precision tooling, or metal forming that inspires us to be one of the most reliable metal stamping manufacturers and tool and die companies. Sheet Metal Stamping Dies are used to create highly accurate and quality results repeatedly over time. As this is a very important part of any precision metal manufacturing process, the metal stamping dies must be made with careful precision. Precision metal stamping can involve several processes, including: metal punching, metal coining, metal embossing, blanking, and bending to create a final metal stamped product. Most Stampings are performed on sheet-metal, but other materials can be used, such as aluminum stamping, stainless steel stamping, beryllium tamping, foil stamping. Products from metal stamping dies are all around us, from the key to your car to the chair you are sitting in. For more information on Diemasters Metal Stamping services, please click here to visit our Metal Stamping page. Tool and Die Making is a skilled process where tools and dies are built to aid in a manufacturing process, such as tool manufacturing, precision metal manufacturing, precision metal manufacturing, and die manufacturing. 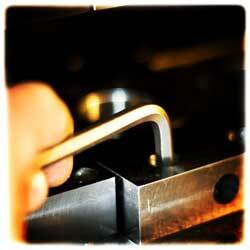 This tool and die making process is usually done on a manufacturing production floor or in a tool manufacturing room. All dies are custom made to the exact specifications of the final produced item. Die Making concentrates on the creation, repair and maintenance of metal dies, press dies, punching dies and progressive dies. 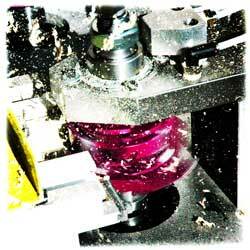 There are many dies that are used for a large variety of manufacturing operations. Typical dies used might be punching dies, blanking dies, broaching dies, bulging dies, coining dies, compound dies, progressive dies, and trimming dies. *Any questions you might have will go directly to the tool and die maker that will be working on your project. Go ahead – ask them today!